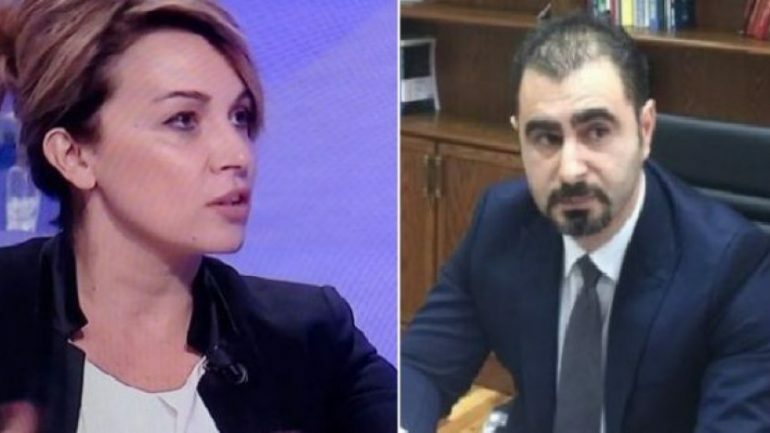 Prosecutors Rovena Gashi and Dritan Gina have filed a lawsuit at the European Court of Human Rights (ECtHR) against the Albanian state over a verdict of the Special Appeals Chamber (KPA), which on June 21, 2018 decided that it didn’t have the competency to pass a verdict on the decision of Temporary General Prosecutor Arta Marku to suspend the two prosecutors. After the asset declaration from Gashi’s vetting were leaked to a media outlet affiliated with former Socialist MP and current media coordinator of the PS Alfred Peza, who was under investigation by Gashi for hiding income, money laundering, and non-declaration of assets, then Durrës Prosecutor Donika Prela, the current director of the Serious Crimes Prosecution, opened an investigation into Gashi’s assets, but – in violation of the law – failed to inform her about this. Marku subsequently suspended Gashi and Gina, her partner, under art. 151(1)(b) of the Status Law 96/2016, which states that “A magistrate shall be suspended from office upon the decision of the Council, if he or she assumes the capacity of the defendant in cases of serious crimes committed with intention.” As the High Prosecutorial Council (KLP) had not yet been formed, Temporary General Prosecutor assumed this right, even though Gashi and Gina were not officially “defendants” in any case. It should be noted that it is as yet unclear whether Marku as Temporary General Prosecutor (a function which does not legally exist) has the right to suspend any prosecutor, which depends on the interpretation of her legally non-existent function. If Marku is like a General Prosecutor, she does have this right but in that case her election was unlawful. If Marku is like a Deputy General Prosecutor, as argued by the EU, US, and Socialist government, she clearly does not have the legal right to suspend anyone. During her own vetting, Marku refused to offer any legal argument for her actions, while the Constitutional Court is dysfunctional. In spite of this unresolved legal unclarity, Marku suspended the two prosecutors. In her verdicts no. 140 and 141, both dated May 11, Marku claimed that the prosecutors may “turn to the Special Appeals Chamber,” which they did. The KPA, however, argued in its verdict of June 21 that as the suspension of Gashi and Gina was not to be interpreted as “disciplinary measure” the Administrative Appeals Court had the competency to adjudicate the question. However, the KPA verdict did not say it was not competent to judge the question, leaving the entire issue practically in limbo. KPA verdicts, by law, cannot be appealed. As a result, Gashi and Gina have now turned to the ECtHR, asking for an opinion on a number of issues directly pertinent to the Albanian justice reform. In July, I already argued that an ECtHR case related to the vetting institutions would have serious consequences, and Gashi and Gina’s case should be particularly worrying for the Albanian government and its international backers, as it does not pertain to an issue of vetting itself. Gashi and Gina’s case is, in part, about the competences of the KPA as “tribunal,” and therefore about the legality of the entire juridical apparatus set up to support the vetting – and the justice reform itself. All of these issues relate to the basis of the justice reform and how it is currently conducted: whether the KPA is an impartial and fair tribunal, whether asset declarations leaked to the media can be used to get magistrates out of office even before they are vetted, and finally, whether the seriously compromised legal framework of the justice reform, which has allowed for the many loopholes and unclarities that political appointess like Marku now use their advantage, is not a threat to the the fair delivery of justice. On September 12, the ECtHR has sent the Albanian government a series of six questions related to the case. This will be the first time since the beginning of the implementation of the justice reform that the government of Prime Minister Edi Rama will have to justify itself – something it regularly refuses to do inside the country. The ECtHR’s questions relate directly to Gashi and Gina’s application. The government is asked whether the KPA can be considered a tribunal following ECHR art. 6(1), whether they had a fair hearing, whether their private life had been violated, and whether they have been given effective remedy.